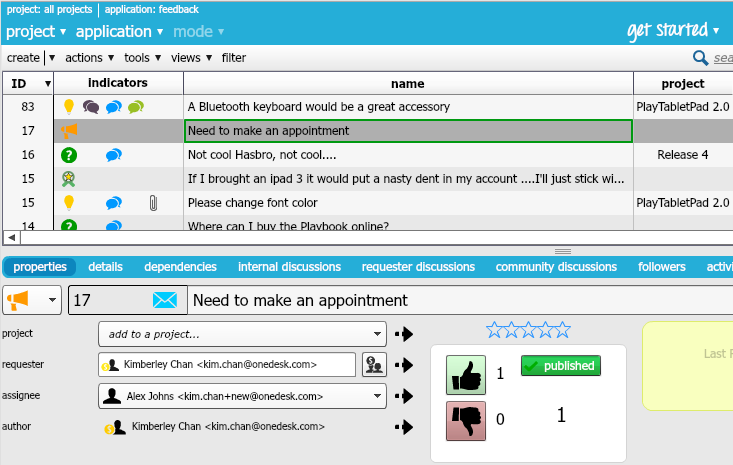 OneDesk allows you start conversations with internal team members as well as customers. Hence, there are different discussion options, and each one allow you start conversations with different groups. Internal discussions, also referred to as discussions in certain applications, enable you to start discussions with only internal team members. If you start an internal discussion within a project, all members who are part of that project will be able to see the discussion thread. 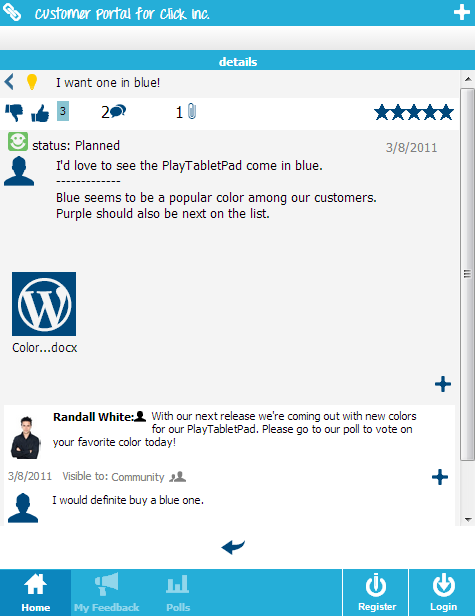 Requester discussions allow you to hold one-on-one discussions with the customer who submitted the request. How do customers submit requests? Customers can submit feedback, ideas, questions and problems through the customer portal. – Allow them to submit feedback anonymously, or invite your customers to register for an account and know who each item comes from. Requester discussions allow you to hold discussions with the customer who submitted the feedback, ideas and help desk items through the customer portal. Their discussions will show up as a thread in the requester discussions section. This discussion is between that single customer and all project members. Your customers do not need necessarily need to register for a OneDesk account in order to start a discussion with your team. They can simply engage with your team by sending emails to your OneDesk emails. You can also forward emails to these addresses. 1. 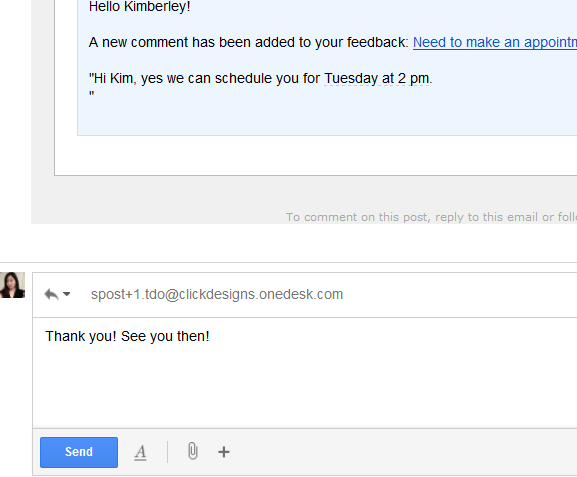 Have the customer send an email to your OneDesk email. 2. The email will arrive in your OneDesk account. The customer will automatically be added as a requester. 3. Go to the requester discussions tab, and start a new thread by clicking New Thread. 4. When you start a discussion, the customer will be notified by email. 5. The customer can reply to the email. 6. Their reply will appear as a reply to the discussion in OneDesk. Community discussions are a good way to When you start a community discussion, it will be visible to everyone who is part of the project, as well as all customers who have access to the customer portal. Note that you are only able to see the customer’s picture and name if they are your customer. Project members from other organizations will not be able to identify customers.